Grand Floridian Resort has some of the best breakfast options along the monorail. Even if you don’t stay at Grand Floridian Resort, you still can enjoy a meal there before you head to the parks. 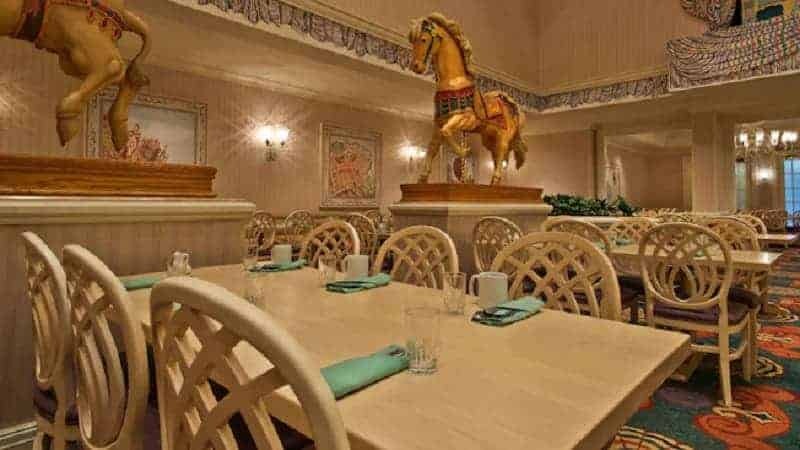 You’ll find three Grand Floridian Resort Breakfast options: 1900 Park Fare, Grand Floridian Cafe and Gasparilla Island Grill. 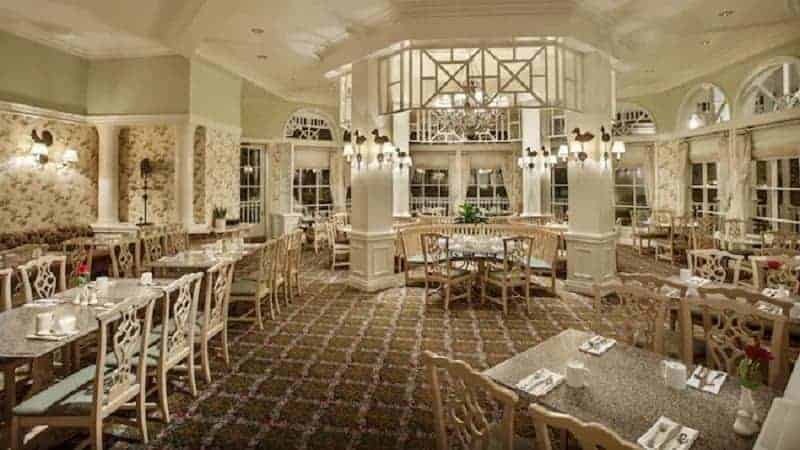 Having Breakfast at Grand Floridian Resort is a great way to start the day and you will find that each of the three Grand Floridian restaurants that serve breakfast a little different. 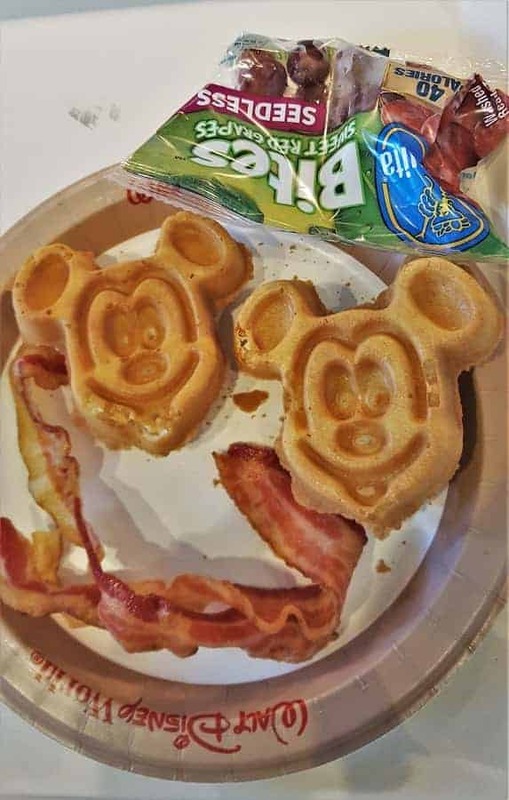 1900 Park Fare is the Supercalifragilistic Breakfast buffet with characters, Grand Floridian Cafe is a traditional table service restaurant serving a traditional American breakfast & Gasparilla Island Grill is a quick service option that allows you to dine in or take on the go. 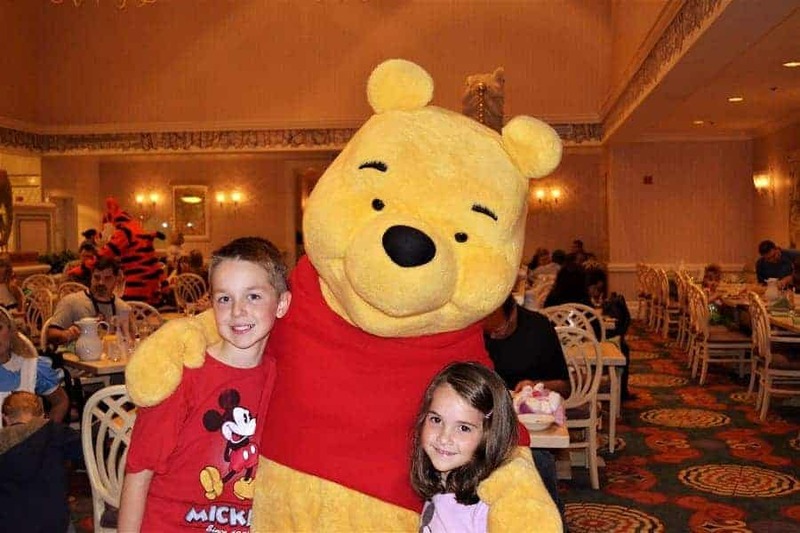 If you are looking to spend time dining with characters during your Disney vacation, Supercalifragilistic Breakfast at 1900 Park Fare gives you an opportunity to meet Winnie the Pooh, Tigger, Mary Poppins, The Mad Hatter, and Alice in Wonderland. 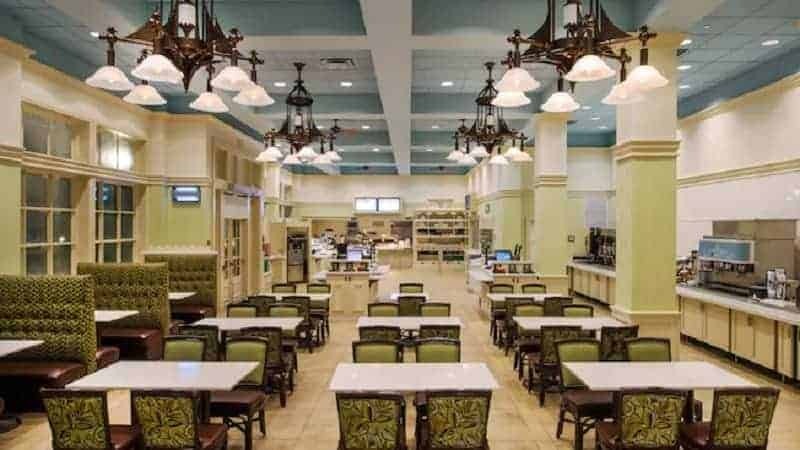 1900 Park Fare is the only buffet option at the Grand Floridian Restaurants. For breakfast, you will find all your traditional American breakfast favorites, including an omelet bar. Kids even have their own section with kid favorites! 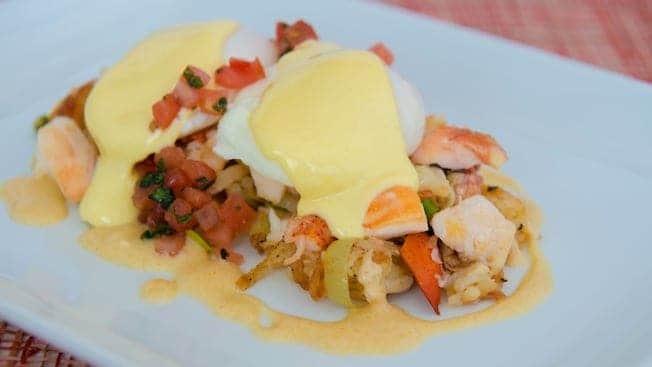 You will find Eggs Benedict made one of three ways, American, with Lobster or with Spicy Sausage; Brioche French Toast with accompaniment of various toppings & of course, Mickey Waffles! Try to score a window seat at Grand Floridian Cafe so that you can overlook the garden. With the large picture windows, you will find the views and natural sunlight a great way to begin the day! Breakfast at Gasparilla Grill is served between 6:30-11am and offers a variety of hot & cold breakfast options. You can eat in the restaurant or take it to go. You’ll find everything from Egg Sandwiches, breakfast wraps and quiche to Mickey Waffles. They also offer an egg plate that comes with bacon & potato barrels (tater tots). 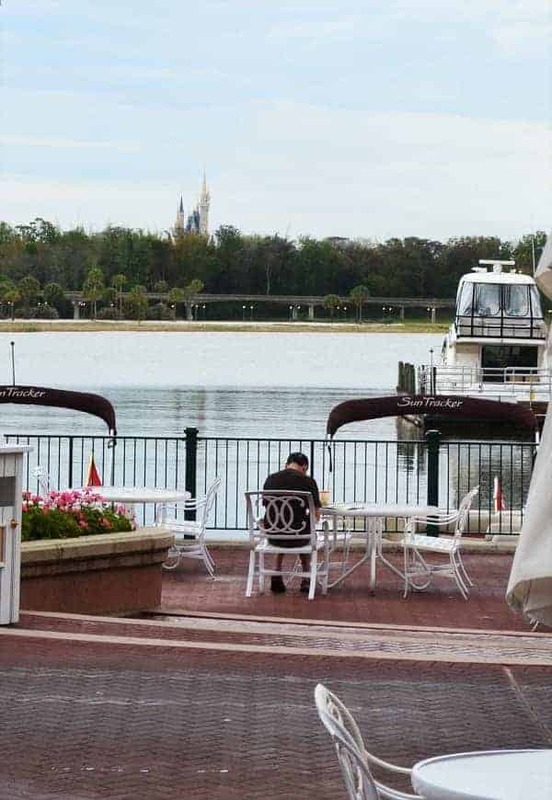 If you don’t want to sit indoors, you will also find outdoor seating along Grand Floridian Harbor. Most days (when it is not cloudy) you can have a beautiful view of Cinderella’s Castle. While there are a few places to have breakfast inside Magic Kingdom & Epcot, some of the best places to eat are right on the monorail. This makes it very convenient to grab breakfast before going into the parks. 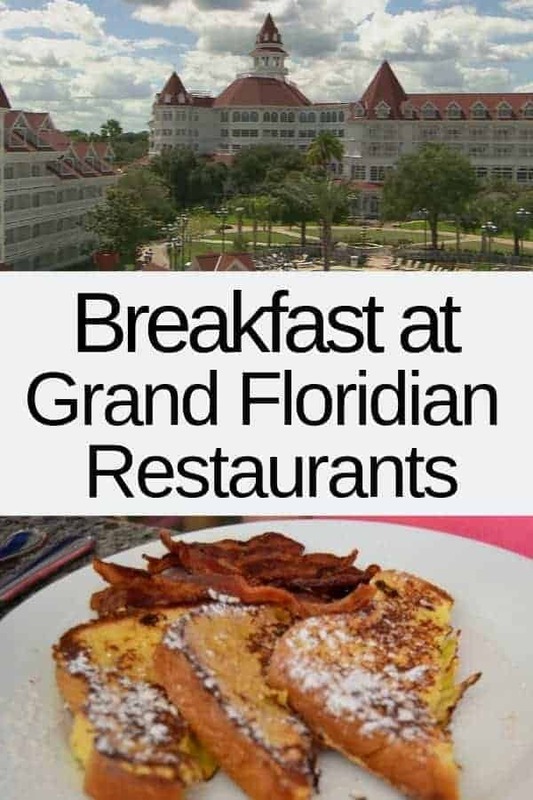 Have you tried breakfast at any of the Grand Floridian Restaurants? Which one is your favorite?